The last major efforts to change gun laws came in the wake of the 2012 rampage at Sandy Hook Elementary School in Newtown, Connecticut, when 20 young schoolchildren and six adults were slain in their classrooms. Then, the president issued a series of executive actions and recommended congressional action which was never passed. This week, amid a spate of mass shootings, the debate over how to reduce gun violence has been renewed. Wednesday's shooting in San Bernardino at Inland Regional Center came less than a week after a gunman opened fire at a Planned Parenthood clinic in Colorado Springs. Unlike the Colorado shooting, the San Bernardino massacre increasingly appears to be an act of terrorism. But the fact that one of the perpetrators was an American citizen and the guns purchased legally puts this crime into a new gray area that will create more challenges for lawmakers trying to prevent more gun deaths. Here are five ideas the U.S. could look consider to reduce gun violence -- from Democrats and Republicans. Loopholes now exist in the background check system that make it possible for people with criminal records or mental health issues to procure guns. For instance, a gun purchased over the Internet or from a private individual at a gun show is not subject to a background check because neither instance involves licensed gun sellers. After Newtown, the gun-related legislation that seemed most likely to make it through Congress was a 2013 bill cosponsored by Sens. Joe Manchin, D-West Virginia, and Pat Toomey, R-Pennsylvania, to strengthen background checks by closing those very loopholes. But it died on the Senate floor when it failed to attract enough support. The Senate voted on that measure again Thursday along with a series of Democratic proposals to reduce gun violence, and it failed on a 48-50 vote. Jim Kessler, the senior vice president for policy at centrist think tank Third Way, told CBS News that Mr. Obama should consider doing it himself -- using his executive authority to close those loopholes by defining gun shows and the Internet as places where people engage in the business of gun sales, so they would be required to do background checks. "It's a controversial notion," he said, and one the Obama administration has considered and rejected before. "But I think it's worth looking at again," he argued. The White House has also weighed the idea of imposing background check requirements on gun dealers who sell a large number of firearms and requiring them to be licensed by the ATF. In the wake of the Paris terror attacks, Democrats also introduced legislation that would stop people on the U.S. no-fly list from purchasing guns and ammunition. "If you are too dangerous to board a plane, you're too dangerous to buy a gun," Sen. Dianne Feinstein, D-California, said. The bill failed to pass a procedural hurdle along with the other Democratic gun control proposals. Kessler said that most of the legislation to address these issues will get nowhere in Congress. "The National Rifle Association has a stranglehold on Congress, and particularly Republicans in Congress, and so even the most common-sense law faces just a steep uphill climb," he said. Republicans have repeatedly argued for measures that address mental health issues. House Speaker Paul Ryan, R-Wisconsin, is among them and is backing a bill proposed by Rep. Tim Murphy, R-Pennsylvania. Murphy, a career psychologist, has been working on the legislation since the Newtown shooting. His bill aims to improve treatment for people with serious mental health issues like schizophrenia and bipolar disorder and increase the availability of beds for psychiatric patients. These strategies would both reduce the chances that those with mental health issues become violent and get more people into mental health treatment - and into the National Instant Criminal Background Check System, so they can't purchase guns. "These are people we can identify and help early on for treatment...many of these cases never have to advance to level of violence," Murphy told CBS News. Murphy concedes his proposal can't address issues like keeping guns away from criminals or terrorists. And Daniel Webster, director of the Johns Hopkins Center for Gun Policy and Research, told CBS News it's not enough. Addressing mental health issues, he said, accounts "for a relatively small share of all acts of serious violence. If we magically came up with a total cure for all mental illness, we would prevent no more than 5 percent of violent crime." A Democratic proposal to strengthen treatment for mental health issues failed along with the proposals to strengthen background checks and block people on the terror watch list from purchasing guns and ammunition. For almost 20 years, the Centers for Disease Control (CDC) has not been able to use public funds to research gun violence. It's not an explicit ban on gun violence research, but since 1996, Congress has barred the CDC from using federal funding for what it considers to be advocating for gun control. The lack of funding has left many questions on gun violence unanswered. Rep. David Price, D-North Carolina told CBS News that he'd like to find out more about which populations are most affected by gun violence, as well as "the causes, domestic circumstances, the situation with respect to local laws and law enforcement practices. How is that related to the incidence of gun violence? And then what kind of preventive measures might mitigate this?" Rep. Nita Lowey, D-New York seconded that, telling CBS News, "When you see statistics that say thousands of deaths occur a day as a result of gun violence, we need to know why, how, where, when and so I want to leave it to the CDC to determine why these numbers are so very high." Hours before the shooting in San Bernardino, a petition signed by 2,000 physicians was presented to Democrat lawmakers in Washington, calling for the removal of the restriction. There may also be ways to make guns less dangerous to store. New technology in "smart guns" recognizes the owners' fingerprints or hand grip or has other features controlled by the owner, so firearms can't be stolen or accidentally fired by a child. Those guns are not currently mass-produced in the U.S., a recent "60 Minutes" report found, in part because of fears that they might lead to greater gun control. The Obama administration also dropped plans to try to ban a type of ammunition called green-tip bullets that can pierce a police officer's protective vest if fired from a handgun after facing major criticism. Handgun ammunition that can pierce body armor has been illegal since 1986, but green-tipped rifle bullets were considered an exception because of their use in sport shooting. A high-capacity magazine ban, which could limit the number of bullets in a magazine dramatically, has been considered in Congress but has not passed. Eight states and the District of Columbia have these bans in place, and California may also have a ballot initiative on this in 2016. Then there's an outright ban on assault rifles. A 1994 law banning weapons like AK-47s expired in 2004, and efforts to renew it - including one in 2013 after Newtown - have all failed. 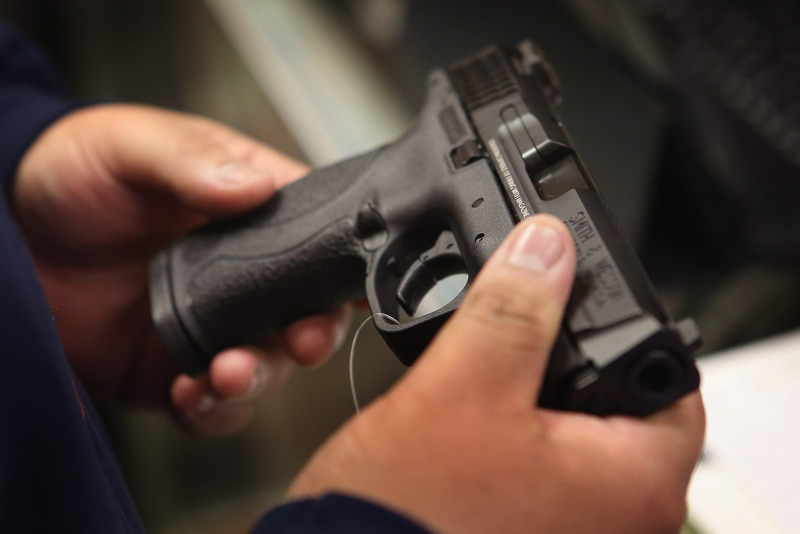 Legislators could also look at ways to try to crack down on illegal gun sales. This would involve a gun trafficking statute, "so you can go up to people who are buying guns in big quantities and selling on the street, going after gun stores that make a lot of illegal sales, going after what are called straw purchasers" - people who purchase guns for others, Kessler said. Some governors have taken action to do this on the state level. For example, Virginia Gov. Terry McAuliffe signed an executive order to crack down on criminality after a TV reporter and cameraman were shot to death during a live television broadcast earlier this year. His executive orders aimed to increase prosecutions of gun crimes, encourage reporting of those crimes, and to trace all guns used to commit a crime.